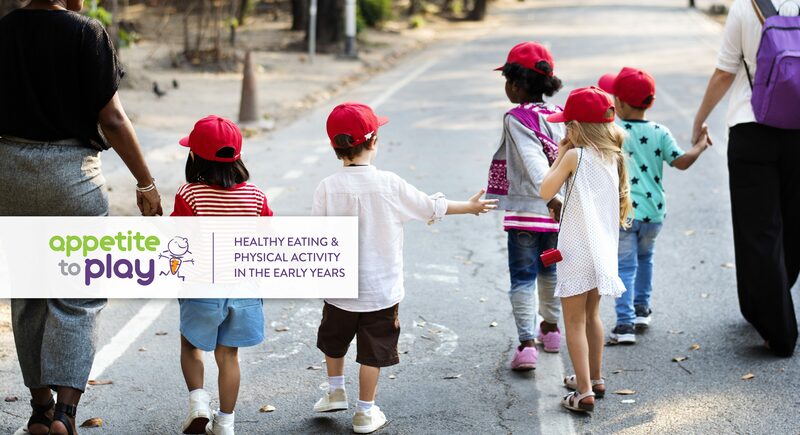 The Appetite to Play initiative builds the capacity of early years providers to promote and encourage healthy eating and physical activity in the early years. We want to reach everyone in British Columbia, which is why we are now offering 10 virtual workshops this fall and winter so that you can take the training from the comfort of your own home! WHAT WILL I LEARN IN THE APPETITE TO PLAY WORKSHOP? The Appetite to Play virtual workshop is interactive, and will enhance knowledge, skills and confidence in creating childcare settings that support physical literacy, healthy eating and healthy child development. During this workshop planning tools, self-assessments, tips, ideas, recipes, games and activities will be shared and practiced. WHO SHOULD TAKE THE APPETITE TO PLAY WORKSHOP? This workshop is open to early years providers and stakeholders who are interested in learning more about physical literacy and healthy eating for children 0-5 years old, and who want to increase their capacity in this field. The workshops are two-hours in length, and count towards professional development credits for early childhood educators. WHAT DO I NEED TO PARTICIPATE IN THE VIRTUAL WORKSHOP?